More than 100,000 refugees from nearly 100 countries have passed through an old brick schoolhouse in Buffalo, New York, on their way to potential asylum in Canada since 1984. The place is called Vive Shelter, or Vive, and, as the New Yorker describes in a recent article, it has become a crucial stop along a modern day underground railroad for those fleeing persecution and violence. Like it was for slaves in the 19th century, upstate New York is a final stop before potential freedom in Canada. It’s a place to gather thoughts and courage, figure out plans and consult others, and wait for an opportune moment. For one refugee described in the story, her “underground railroad” journey began in Eritrea where she was persecuted and imprisoned for her religion. Through traffickers, she traveled to Sudan, Dubai, Brazil, Mexico City, and then Tijuana before she asked for asylum at the US border and was detained in a facility for a month. She eventually made it to Vive and reunited with her son and husband in Canada, whom she hadn’t seen in more than five years. Vive provides three meals a day, beds to sleep in, relative comfort, and medical and legal assistance. It’s staffed by a handful of full- and part-time employees and dozens of volunteers. It exists in a weird stalemate with local and federal law enforcement who regularly prowl the area, but refrain from raiding and rounding up those within, because even though they're fully aware that asylum seekers from around the world seek Vive out, the organization is not breaking any laws. Vive is also partly safeguarded by the demographics of Buffalo, a city filled with refugees who appreciate the group's work. Above all, Vive embodies the paradox of asylum in North America — countries of safety that go to great lengths to deny safety to those who most need it, forcing refugees to evade the very judicial bodies that are supposed to protect them. After all, why don’t the asylum seekers just stay within the US? While Canada is more generous than the US when it comes to accepting and accommodating asylum seekers, both countries enact a stance of reluctance and reject a significant number of asylum applicants. 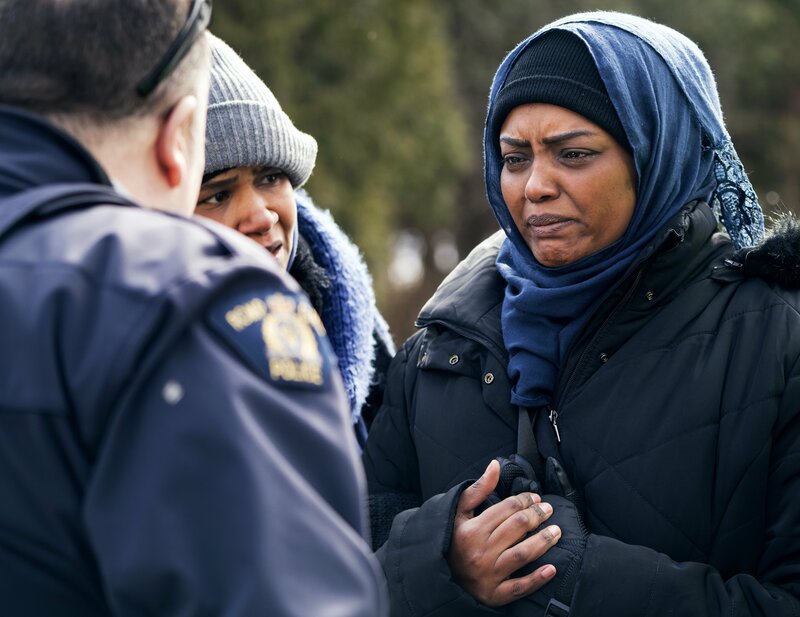 This reluctance to help became more pronounced when Canada signed a treaty with the US called the Safe Third Country treaty in 2004 that required refugees to ask for asylum in the first country they entered. Since most refugees enter Canada through the US, this made it significantly harder for asylum to be awarded in either country. In the US, the number of asylum requests has grown more than tenfold since 2011, when conflicts began to intensify around the world. Most people have to wait years before their request is processed and more than half end up being rejected. The election of President Donald Trump, his travel and refugee ban, and his expressed disdain for immigrants and refugees have made the atmosphere at Vive particularly fraught and Canada seem ever more essential, the New Yorker story reports. While Trump excoriates refugees, Canadian Prime Minister Justin Trudeau has staunchly defended the need to accept and protect them. This dichotomy has sent a fresh wave of asylum seekers to Vive.